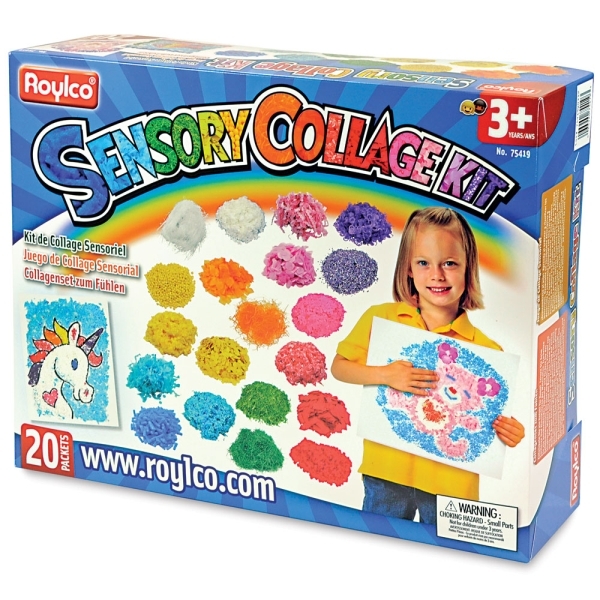 The Roylco Sensory Collage Kit contains 20 different sensory art packs in an incredible variety of colors and textures. It offers a fun, tactile way to teach young students how to sort and classify materials, build a descriptive vocabulary, improve motor skills, and develop sensory awareness. The included teacher guide provides lots of classroom ideas. The materials in the kit can be used to embellish drawings and other works of art (additional supplies sold separately). All materials are safe and non-toxic for children. 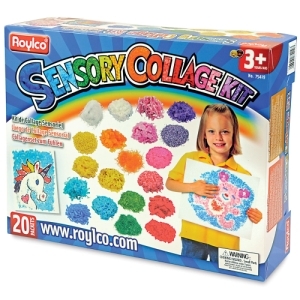 The kit is recommended for children age three and up.